Ant infestations are frustrating and can even be dangerous depending on the type of ant and the extent of the invasion. If your home is becoming an ant hotel, it’s time to find out what’s attracting them and make them leave once and for all. Three basic elements are enough to draw ants to your home. Most people are familiar with how food, especially sugar, can bring armies of ants out of nowhere. Poorly sealed containers, open pet food bags, trash cans and even small amounts of crumbs or food residue attract scouts and these return with others from the colony. Ants also like water, and they’ll appear in droves if they find a good source. This source could be your pet’s water dish, some damp dishes in the sink or a leaky pipe or faucet in any room. With food and water close by, ants look for a safe place to live. If your home provides the other basic necessities, they’ll move in without hesitation. To an ant, the smallest crack leading to a warm, sheltered space is like a door left wide open. Even the smallest particle of food, puddle of water or open space can bring ants inside, so check continually and stay on top of cleaning duties to prevent infestations. Many homeowners are used to seeing ants every year and don’t realize the potential dangers these pests pose. Carpenter ants can cause significant damage to your home’s structure and may have colonies far more extensive than their visible numbers suggest. Ants can also bite if provoked, and these bites can be painful. Some ants carry diseases from decomposing food sources, and any food infested by ants must always be thrown away. Commercial ant traps and sprays promise to get rid of ants quickly and leave your home free of insects. Some of these work temporarily, but some can make the problem worse. Professional pest control companies have trained specialists on staff and have developed methods for ant removal designed to get rid of the whole colony, not just the visible scouts. 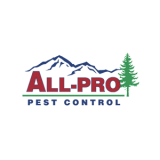 If your home is overrun by ants even after you take preventative measures, give All-Pro Pest Control a call.